The pilot focuses on patients of Presence Saints Mary and Elizabeth Medical Center (PSMEMC), which is located on Chicago’s West Side. 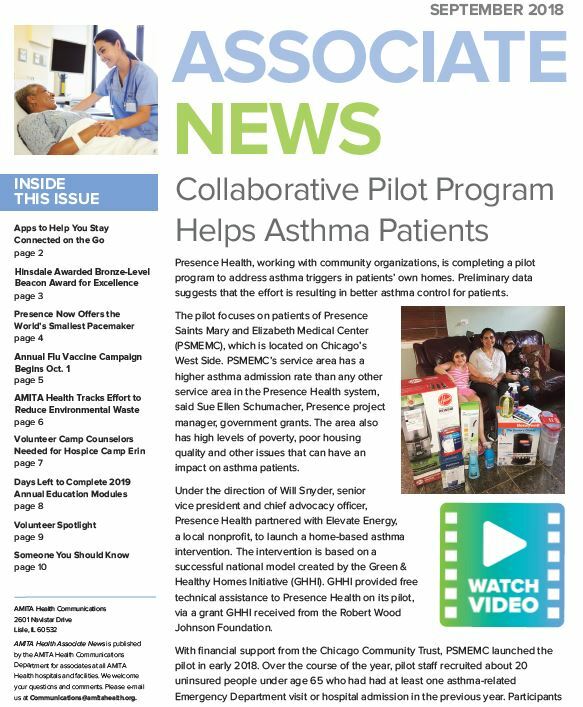 PSMEMC’s service area has a higher asthma admission rate than any other service area in the Presence Health system, said Sue Ellen Schumacher, Presence project manager, government grants. The area also has high levels of poverty, poor housing quality and other issues that can have an impact on asthma patients. technical assistance to Presence Health on its pilot, via a grant GHHI received from the Robert Wood Johnson Foundation.